Homeowners and professionals in general are more or less aware of the different kinds of saws, but most of them are knowledgeable about the versatility of the popular ones like band saws, jigsaws, etc. Even, some may be highly versed in scroll saw techniques and others. While the principal job of these tools is to cut through a wide range of materials including both hard and soft items; their applications are hugely variegated; and thereby, we see so many variations in the shapes and designs. Today, I’m going to inform you of what different saws are designed for and why you should pick particular types for your needs. Why Knowing the Types Is Essential? The average handyman probably has a wide variety of saws in their tool-kit; each designed for a specific cutting task. Choosing the correct type of saw for your projects requires knowledge of the materials you will be cutting, the need for either a hand saw or power saw, and the advantages of each and any precautions if necessary. In this article, we will discuss different types of saws, their uses, and the benefits of each which one should know before the applications of any saw. Saws primary purpose is to cut through hard or difficult materials such as wood, metal, PVC, etc. Determining the best saw for the job can be found in a closer examination of the blade. While different saws exist, all of them fall into one of the following categories: hand saws or mechanical/ power saws. As the name suggests, hand saws are created to be used with one’s hands. They are non-powered, which means they do not require batteries or electricity for operation. The benefit of handsaws is their portability, shape and size, and flexible functions. A bow saw has a long, thin blade with several crosscut teeth lining the blade. It has a bow like a metallic arch handle that parallels the blade. The many teeth have been designed and placed to remove debris from the item being sawed through the push and pull movements. Best used outside, the bow saw can be found in any yardman’s retinue. It is the perfect tool to use for pruning and trimming trees, cutting small logs and other rougher wooden cuts. Another form of crosscut saw is the back saw. This is a shorter rectangular blade with a reinforced upper back edge; thus, lending it its name. Also called tenon or miter saws because they are frequently used with miter boxes that help deliver a straight, fine cut. The Back Saw can be used indoors and outdoors on any material needing a level and even cut. Coping saws have about a half inch wide blade with a square metal back that can be used as an extra handle; however, a rounded handle has been placed at one end. Having two ways to guide this saw aids in the precision cuts for which this tool is frequently used. Because coping saws can be used on multiple materials, delivering precise, intricate cuts, it can be used for an array of projects, including both plumbing and carpentry. If one were to imagine the long, slender, and sharp grin of the barracuda, a better understanding of what the compass saw looks like would be understood. A pistol type handle supports these multiple teeth designed with the purpose of precision enough to cut corners and curves. The size, weight and overall design of the compass saw are to be slender enough for the user to maneuver in tighter spaces and on all materials. There are two different kinds of crosscut or felling saws; the two-man saw, with a handle on each end to be used by two people to fell a larger tree and the one person felling saw, which is what most people picture when you hear the word “saw”, a wooden single fist handle supporting a broad wide toothed blade. . These saws are specifically designed to cut wood, lumber, limbs, and branches roughly. This is a staple in every home owner’s toolbox. Similar looking to the Coping saw the fret saw also has long, multi-tooth thin blade with rectangle bridge handle and fist handle. However, the fret saw has a longer empty space between the back of the blade and the top handle of the saw. This open space allows for a broader range of materials to fit within this framework to help the user with especially tight and awkward cutting spaces that need a frame to guide and judge distances between the spaces. Although the three varieties of Japanese saws look slightly different on the blade, the handle and design of these handy tools resemble putty knives or razor blades, where a different grasp of the pulling handle is seen. This form of grasping the handle might seem odd to Western cultures. The three different saws are primarily used solely for Japanese woodworking and artistry. The benefit of these tools is their flexibility and less energy required to operate; moreover, the replaceable blades are sharper and faster than most Western saws. As its name suggests, a keyhole saw is a smaller version of a compass saw in characteristics. The blade and handle are almost level and is designed to cut small, rough patterns, angles, and circles. This is an invaluable tool when hanging drywall for cutting and removing small areas as needed for molding, sockets, and plumbing. Another “pistol-grip” handled saw is the pruning saw. Most easily recognized by its 13-15” arched blade which is wide with jagged teeth with the ability to cut in both directions in a fast, smooth movement. A favorite for most homeowners, the pruning saw is also used by gardeners, landscapers, lawn-care services and tree surgeons. Of all the different type of saws, the hacksaw is probably the most common; rectangle, coursed tooth, closed fist handle, it is lightweight and multipurpose. It can be used to saw through wood, plastic, metal, mime and other dense materials. For general all-purpose cutting, most professionals and DIYs choose hacksaws for their cutting needs. Commonly known as “the hand saw,” the rip cut saw has minimal TPI, and each has a jagged, sharp point with the purpose to remove the wood pieces as it is cutting. Every woodworker is familiar with this universal tool which is a necessity for framing jobs. Like the Japanese saws, the veneer saw is a specialized tool with odd, looking flat, rectangular, double-edged, short blade. With 13 TPI it is the perfect design for precision work with veneer, but its odd blade keeps it from being used on other materials. Although wallboard looks like the keyhole saw, it is usually equipped with a wider and shorter blade with fewer TPI with dual-edge varieties. While the wallboard saw is designed for puncturing drywall or paneling, it is most frequently put to use as a starter hole for more expandable, mechanical or power tools. Mechanical saws are meant for replacing hand saws. However, they are not. Power saws have their specifications, uses, and capabilities separate from those of the handsaw. The different kinds of saws with motorized power fall into one of the three different categories: Continuous Band Saws, Reciprocating Blade Saws, and Circular Blade saws. Continuous Band Saws– so called because of its continuous band of cutting teeth positioned in between two and more wheels, rotating in a circular motion, to cut material. They have a variety of uses and materials; each is aptly suited. Reciprocating Blade Saws – It’s a power-driven saw with particular blade movement (the push and pull movement) that results in the powered cutting of material. Circular Blade Saws- s circular toothed disc is the powered blade that cuts through materials when using this saw. Two types of band saws exist and are popular in the tool industry, such as a stationary band saw, and a portable band saw. Make sure you follow the proper safety measures while using either of them. Stationary Bandsaws- The machine are large pieces of equipment, and the actual saw is stationary upon the base. The saw uses a pulley system above and below the base; it’s fine, close TPI makes this ideal for cutting most substances. Portable Bandsaw- It’s similar to the stationary bandsaw in terms of operational mechanism. The two main differences are: 1) it is portable, and 2) the user is limited to cutting material 3-4” in diameter; the stationary holds few cutting width limitations. Two common circular saws are the chop saw and the buzz saw or brand name Skilsaw. Chop Saws- A large portable circular saw with varieties designed for cutting metal, concrete, and masonry. All chop saws are manufactured with specialized cutters as an alternating to sharpened teeth. Buzz Saws- This saw has a TPI up to 9” and are the most common of the power saws. They are used to cut through certain woods, metals, masonry and more. As a member of the bandsaw family, chainsaws use a circularly linked chain with ripping teeth for the primary purpose of felling trees. With recent mechanical advancements, many of the powered hand saws can be equally powered with rechargeable batteries which allow for the portability of the necessary different kind of saws with greater ease. This is a portable, specialized saw that replaces a stationary saw, miter saw, table saws and any other tool needed to cut or resaw all kinds of flooring; including tile, hardwood, bamboo, engineered and laminate. Both professionals and home-improvers will refer to this saw for all their floor material cutting needs. Jigsaws are usually a handheld saw that has a fine, thin blade that rotates up and down at high speeds to make precise curved cuts. This is one of the only saws that’s entire purpose is for cutting on corners, curves and other rounded lines. The most useful of jigsaws are portable, cordless or with an extra long power cord. While other saws will cut through concrete and stone substances, Masonry saws are specifically designed for that purpose. They are part of the circular blade family, whose elongated metal closely spaced teeth are intended for sawing through all forms of concrete, stone, brick and other masonry materials. Masons and bricklayers would refer to this particular saw for the majority of their needs. If any power saw copied the actions of a handheld saw, the miter is created for that purpose. It is perfect for trim jobs or other precision cutting and angular cuts. Miter saws rotate upwards of 90’ degrees and can cut materials with long ends with mitered finished ends. Miter saws are used in tandem with table saws and are handymen, builders and contractors’ tools for detailed, precision work on large pieces. This is the Superman of miter saws. The compound, straight, miter cuts are made by using compound miter saws. Instead of cutting directly up and down as a regular miter saw, the blade is attached to an arm which can be altered for difficult angles including tricky trim and intricate scrollwork. This is the best tool for carpenters or builders working on adding crown molting and sizing windows. Similar to jigsaws, reciprocating saws have blades that move very quickly back and forth. They are the perfect tool for cutting through rounded materials like tubing, PVC, plastics and dowel shaped wood. They are also used when cutting through walls as they are also designed to cut through screws and nails. Reciprocating saws are used mostly during the demolition of the building and the deconstruction of frames and structures because of their ability to cut through walls and hardware both. Rotary saws look like a member of the screwdriver family with a rounded body and handle and small blade perfectly centered and fixed within a metal frame. The small bladed works within its frame for small detailed work associated with a myriad of trades and crafts. Similar to the keyhole saw the rotary saw is a vital part of paneling, drywalling and other small, detailed, cutting work. The base or body of scroll saws is usually mounted while a circular platform rotates as a small blade cuts through the material. The design of the scroll saw can be operated with all three types of blades: band, continuous, and reciprocating. Of all the different kinds of saws available, its minute precision makes the scroll saw invaluable. The rotation of the platform makes this the ideal tool for detail work, creating patterns and spirals and other precision scroll type work. They are mostly used for designing edged curves in the material. Scroll saws are a favorite of DIYs and tradespeople looking for that helps cut curves and form intricate designs. Instead of mounting a saw onto a solid platform, table saws are designed with a large, stationary base with a powerful motor fitted under a flat, table, and platform. The depth of each cut is determined by adjusting the blade. It is most commonly used to create identical lengths and widths of different materials. It is the heavy-duty dad of power-saws. Master craftsman and DIY use this tool for creating symmetry in their work. Where scroll saws are perfect for rounded designs and cuts, a track saw is a circular saw and platform of a table saw combined. The circular saw is mounted on a long, straight, metallic frame that materials are laid upon and then fed through the saw for it to create whatever depth cut needed into the material. This is the perfect tool for creating a crown molding or wooded panels with straight lines cut into the surface to create a new, more detailed look. It’s hard to believe that there are so many different kinds of saws available to do just one thing, cutting through hard surfaces. However, for every material and job type, from professionals to DIYs, and tradesman to craftsman there is a different type of saw best suited. With all the vast choices, next time you have a project that requires cutting, hopefully, this article will help you when choosing the best saw for whatever cutting task lies ahead of you. 6 How Does a Drywall Screw Gun Work? 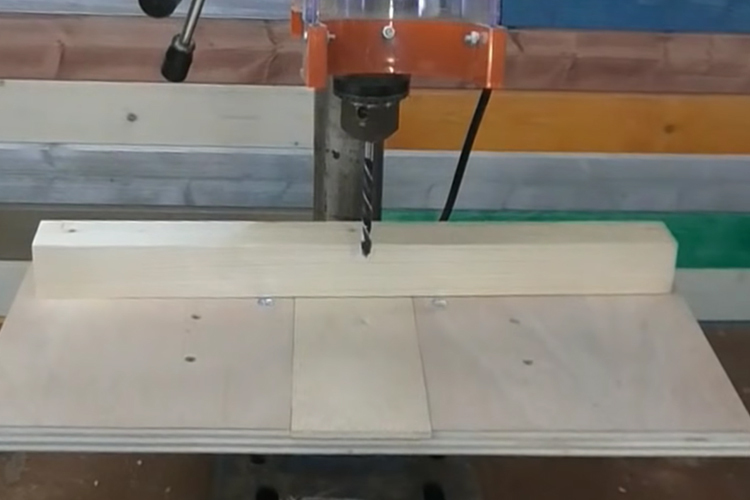 9 How to Use Biscuit Joiner to Join Your Workpieces Properly?